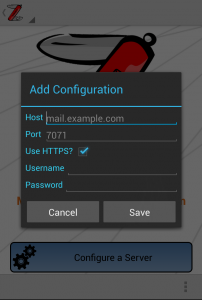 It is customary to protect the admin port behind a firewall, so make sure you can access it from the network the device is in, either directly, through a VPN, port forward over a tunnel, or other means. 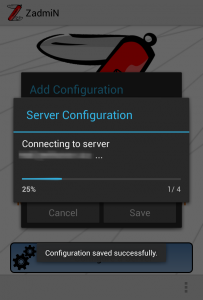 Touch the “Configure a Server” button to get started. Once you have successfully configured the server, a toast appears if the configuration was saved successfully. If the server connection could not be established for some reason, another toast appears indicating the reason the connection could not be established. After a successful connection, the home page will fetch and list the status of all running servers on the server. 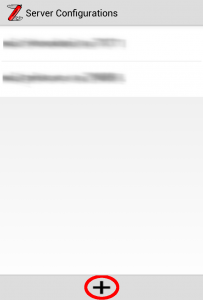 If you don’t see the services listed, try the refresh button. You can access your server configurations at any time by touching the more icon on the action bar, and selecting “Server Configurations”. 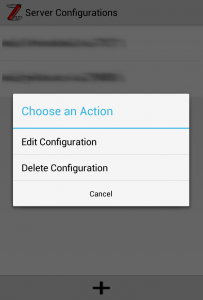 If you have multiple servers configured, you will also have a servers icon on the action bar. 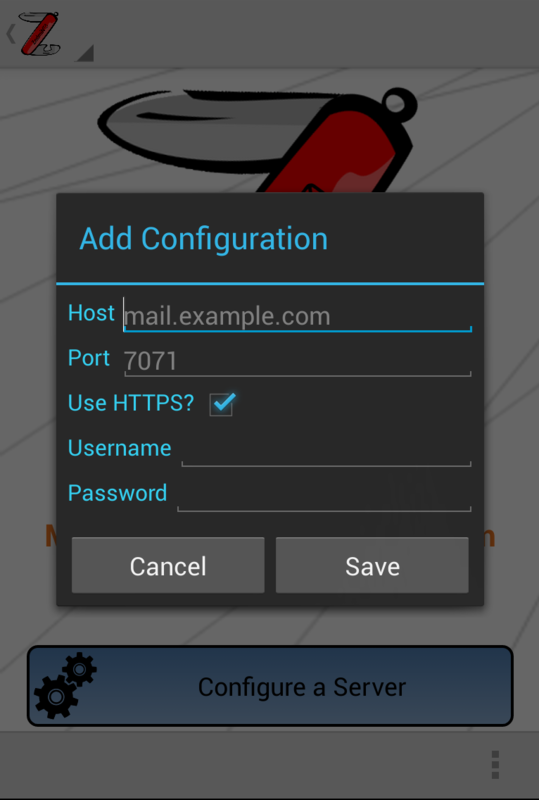 Touching this allows you to toggle between your configured servers anywhere within the app. 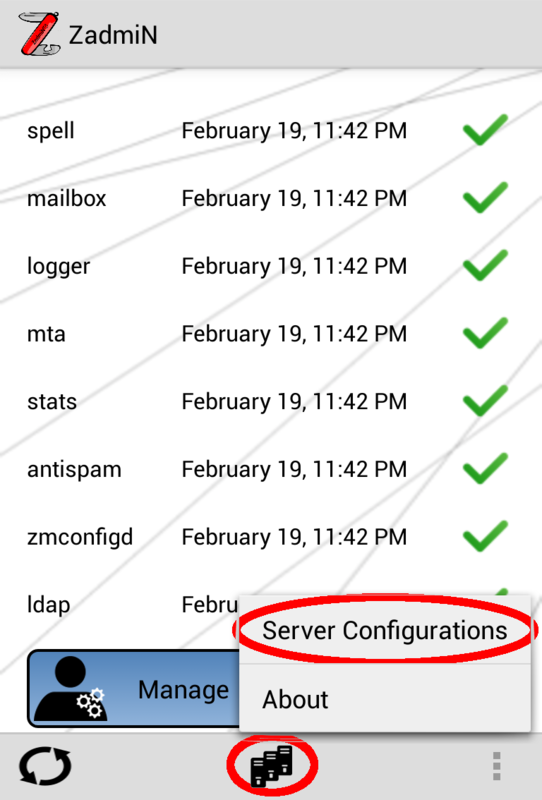 Touching the “Server Configurations” menu on the action bar brings up a list of all servers you have configured within the app. 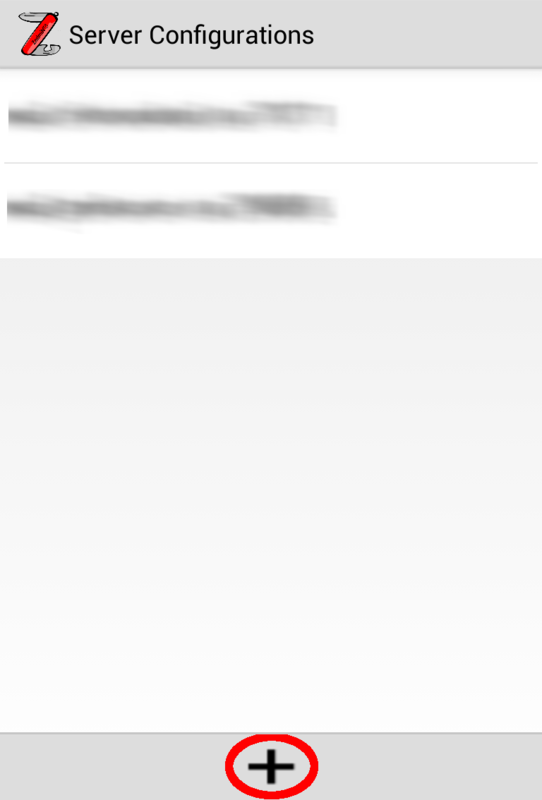 You can touch the add icon on the action bar to add a new server. 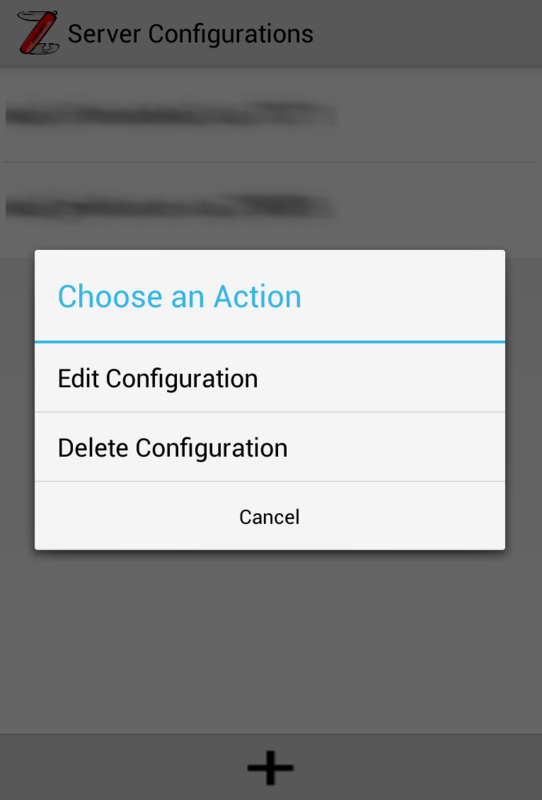 Touching a server configuration brings up a menu which lets you edit or delete the configuration. 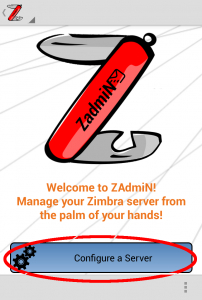 One Response to "Configuring ZadmiN for Android with your VMWare Zimbra Server"
After reading this post, I think I will definitely be getting the ZadmiN app. Does anyone know if there are any other good apps I can use to manage my Zimbra server? 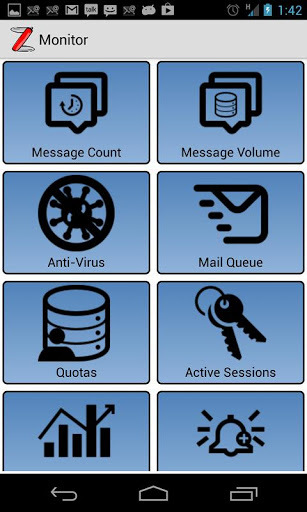 I just want to make sure I get the best app for it, I got my from bell last fall, and love it, I just need a good app for managing my Zimbra server.